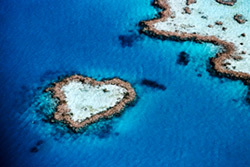 Sunsea Cruises invites you to experience the Great Barrier Reef just off the Townsville coast in sunny North Queensland. In under two hours, they will have their clients snorkelling or diving through the crystal clear waters, discovering the unbelievable colours of the tropical fish and coral. Sunsea Cruises visits pristine John Brewer Reef four days per weeks and takes a maximum of 150 passengers to keep the experience personal and uncrowded for passengers. Days of operation are Saturday, Sunday, Tuesday and Wednesday. The ‘Reef Cat’ departs for John Brewer Reef from the Breakwater Terminal at 8.30 a.m. however passengers should check in at the terminal no later than 8.00 a.m. Parking is available at the terminal, or there is additional parking at Townsville Enterprise (directly across the road from the Sunferries Terminal). The ‘Reef Cat’ then heads to Nelly Bay on Magnetic Island, departing at 9.00 a.m. Magnetic Island passengers are advised to be at Nelly Bay jetty by 8.30 a.m. Return times are 5.00 p.m. to Nelly Bay and 5.25 p.m. to Breakwater Terminal. Cruising Cruise to John Brewer Reef which is one and a half hours from Townsville. Scuba-Diving Introductory and certified dives available (extra charge applies). Learning/Lessons/Tuition Learn to snorkel and scuba dive. Also learn about the Great Barrier Reef through a glass bottom boat. Snorkelling Unlimited snorkelling available to view coral and marine life. Swimming Unlimited on the reef. Marine Animal watching Coral and tropical marine life are discovered through snorkelling and scuba diving. Water-based Swimming, snorkelling, scuba diving, glass bottom boats. Car park Car parking available. A fee is payable on week days. Checkin Desk Check in desk located at departure point. Public Transport Taxi and Bus. Public phone Just down the road a couple of metres. Public toilet Toilets available at departure point and on board boat. Taxi rank Taxi rank available at departure point and on return. Waiting Area Waiting area provided at departure point. Adventure Viewing marine life underwater. Cruise Cruise to John Brewer Reef. Diving Introductory and certified dives available. (Extra cost involved). Educational Education on Great Barrier Reef. Environmental Learning to protect and preserve the reef. Marine Swimming, snorkelling, diving, glass bottom boat. National Park World heritage area – Great Barrier Reef. Nature based Exploring the Great Barrier Reef. Reef Exploring the Great Barrier Reef. Wildlife Coral and marine life. World Heritage The Great Barrier Reef. Discover some of the accommodation nearby in Townsville. 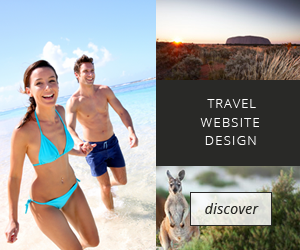 Experience some of the other tour ideas around Townsville.